With equipment sized right for age and ability, it’s never been easier for kids to get active and try tennis at school or with the whole family at a local event. Organized extracurricular programs are being offered just for kids throughout Wisconsin and tennis is ready – and waiting – for your child! 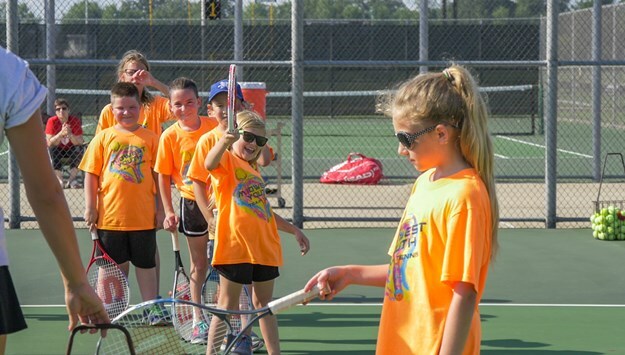 Midwest Youth Team Tennis is often compared to Little League Baseball, as the program offers children the opportunity to develop their individual and team tennis skills in a fun, yet competitive atmosphere. Tennis is one of the best ways to get your family active. Kids grow up fast!